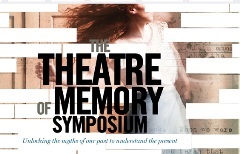 Unlocking the myths of our past to understand the present. 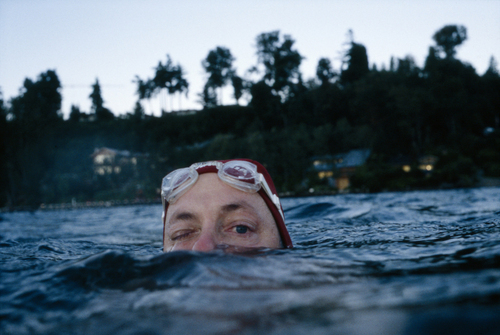 In August of this year, the artist, activist, writer and educator Allan Sekula passed away following illness. The subject matter of the majority of his project work was framed by the relationship between capital and labour. The following is a reflection on his project, Freeway to China (Version 2, for Liverpool). In May 2003 at the Generali Foundation in Vienna, Austria, an installation opened with accompanying publication of the same name, Performance Under Working Conditions. 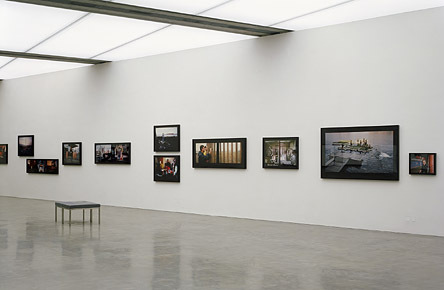 This was the first major retrospective of the work by Allan Sekula. It is a section of this exhibition titled, Freeway to China (Version 2, for Liverpool) which is the focus for my discussion to follow – embodying what I would identify as the working methods, re-presentational strategies and central themes addressed in his practice. ‘Our readings of past culture’, wrote Sekula, ‘are subject to the covert demands of the historical present’ (1978: 118). 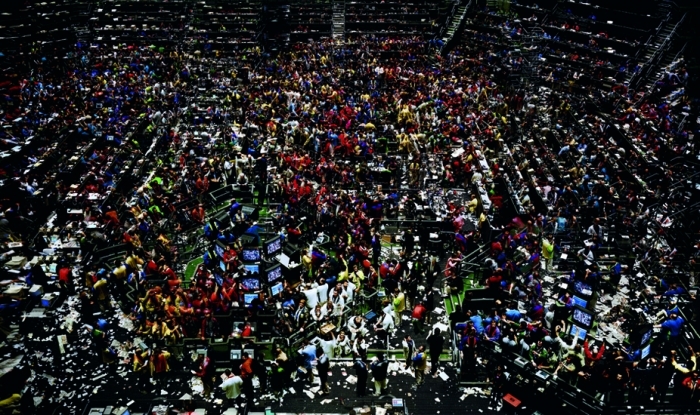 While addressing the re-invention of a documentary photographic practice which acknowledged its modernist underpinnings and role in ideological construction, Sekula was further critical of the role of art and photography in advanced capitalism and its commodification, becoming a ‘specialised colony of the monopoly of capitalist media’ (ibid. : 120). Nonetheless, having become familiar with critical documentary photographic practice, Sekula ascribed that there remained the potential, through a reflexive awareness, to usurp what he would define as the solely aesthetic distractions of modernist visual practices, thereby re-inscribing photography’s critical potentialities that remained. These defining characteristics, regarding the representation of the image archive and their construction in meaning, continued to define his representational strategies. We can now recognise such approaches as emblematic of late-modern photographic practice, ‘principally residing in its dismantling of reified, idealist conceptions enshrined in modernist aesthetics – issues devolving on presence, subjectivity, and aura’ (Solomon- Godeau 1999: 249). Repeatedly, he addressed the seminal role of labour, proffering representational strategies primarily through the incorporation of text and image. In late 1999, Sekula was invited to participate in the Liverpool Biennale resulting in Freeway to China (Version 2, for Liverpool). In the image above, Mason Davis, a welder in the port of Los Angeles, stares directly into the camera, somewhat passively yet somewhere else in his engagement, out towards the viewer and then beyond, somewhere. Sekula documented this moment and recalled how it was Mason’s ‘first job in a year’ and then embellished the encounter, recalling how when he returned to give him a copy of the photograph, Mason had moved on to New York in search of work. This image formed part of the installation at the Open Eye Gallery in Liverpool. 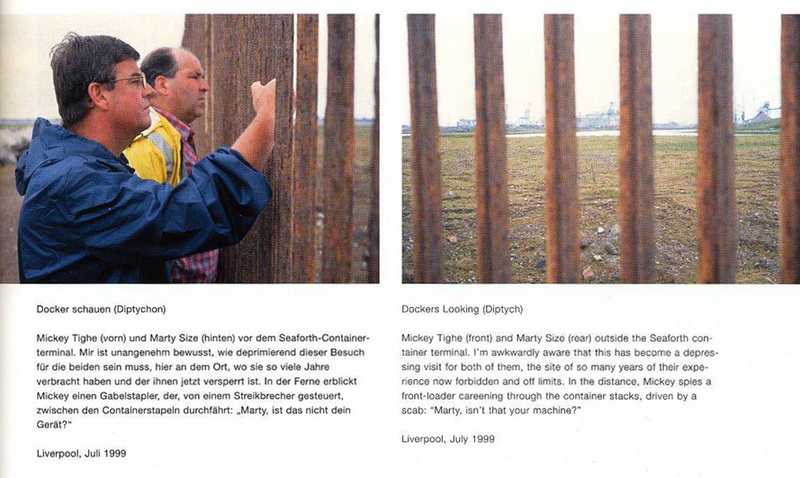 Sekula invited local photographer, Dave Sinclair, to share the exhibition space as a means for ‘dialogue between, what he decribed as ‘my more “global” take on maritime struggles and his intimate and “local” engagement with Liverpool history and the fight as it unfolded’ (2003b: 278). Three women sit, engrossed, concerned (Image above), nails chewed – a black and white portrait. Below eye level, a glass is risen partially obscuring the right hand side near the viewer’s point of view. In the intimate and familiar surroundings of the local pub, the cultural meeting point, a place of exchange in this time of crisis – the latest news is awaited, possibly a decision that will shape futures, perhaps their own. The women portrayed display no awareness of the photographer, the image emblematic of a ‘documentary style’, their lack of awareness evidencing trust at this most pivotal of times. 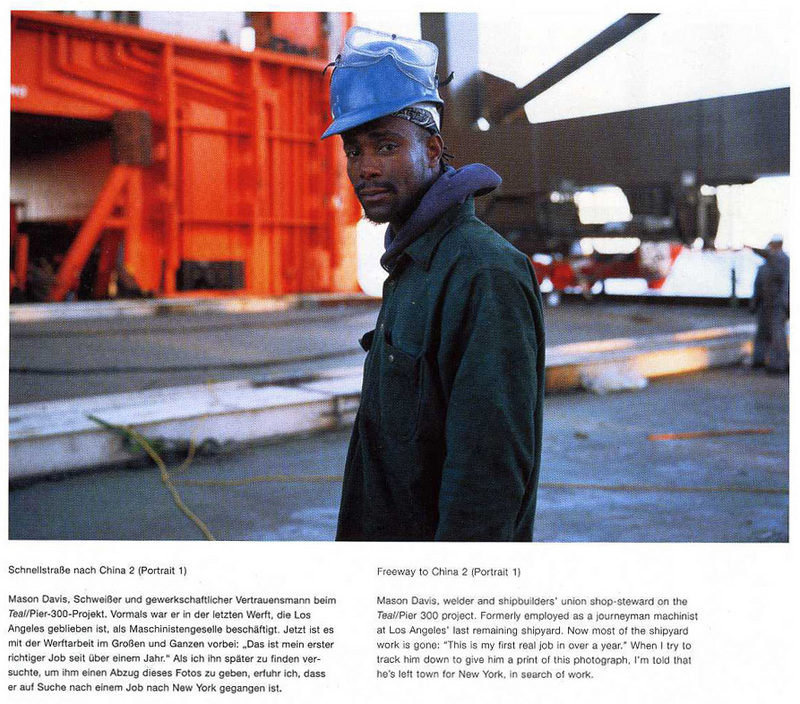 A counterpoint to the image of Mason, in format and style, however, struggles linked through a dependency concerning dockworker futures and how photography, critically has a role, albeit with caution, to bear witness. Begg, Z. 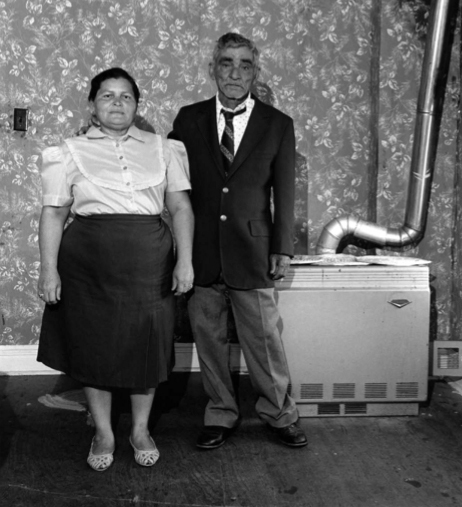 (2005) ‘Photography and the Multitude: Recasting Subjectivity in a Globalised World’, Borderlands E-Journal, Volume 14, 1, <http://www.borderlands.net.au/vol4no1_2005/begg_art.htm> [Accessed 24 June 2009]. Sekula, A. 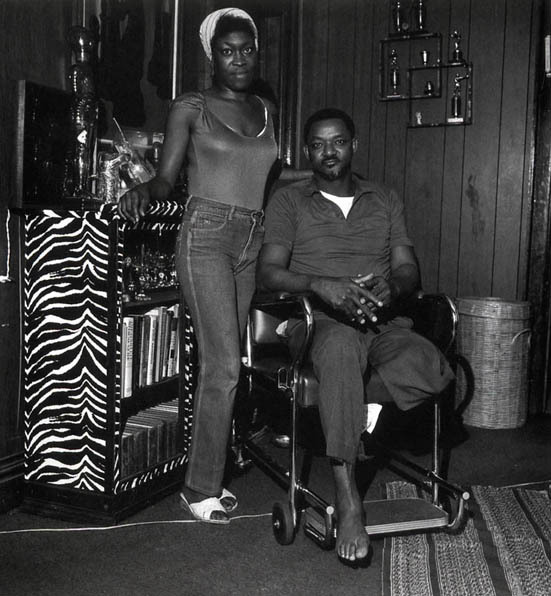 (1978) ‘Dismantling Modernism, Reinventing Documentary (notes on the Politics of Representation)’ in (1999) Dismal Science, Photo Works 1972 – 1996, University Galleries of Illinois State University, Chicago, 118–138. –––––––– (1997) ‘On “Fish Story”: The Coffin Learns to Dance’ in Camera Austria, Camera Austria, Graz, Issue 59/60, 49–59. 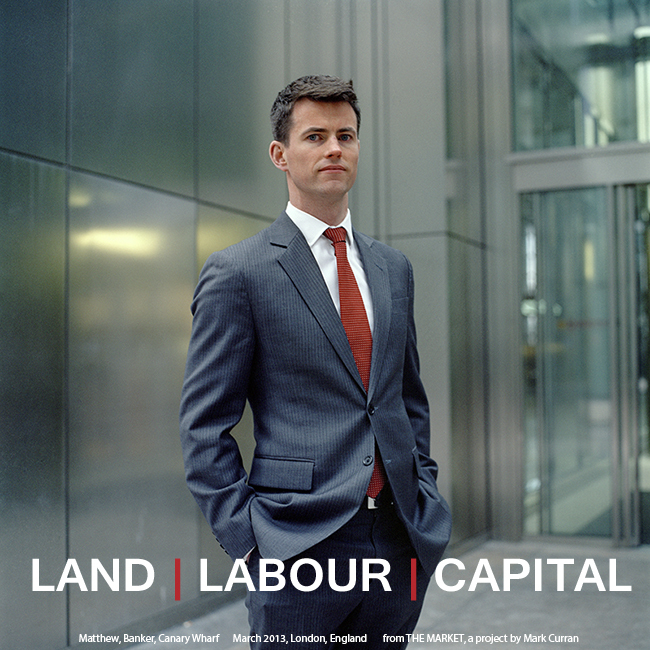 –––––––– (2003a) ‘Reading the Archive: Photography Between Labour and Capital’ in Wells, L. (ed.) 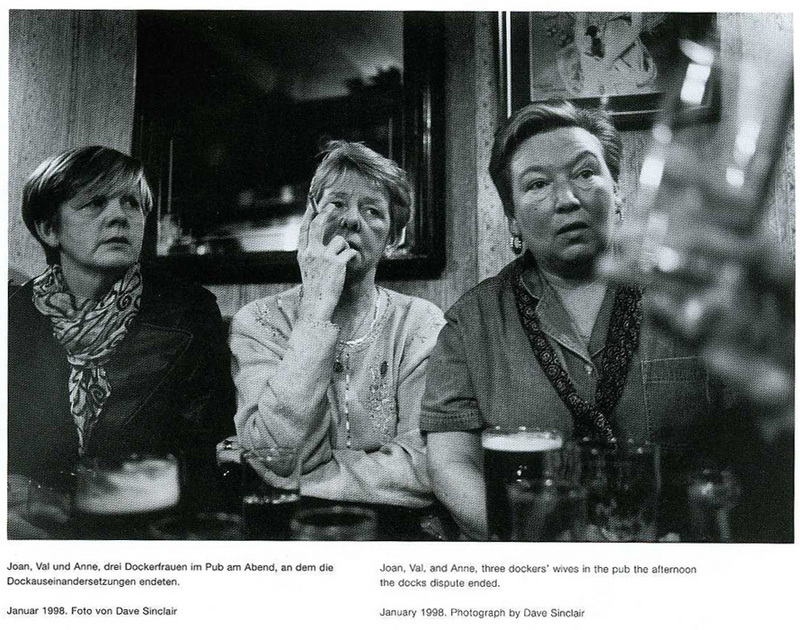 (2003) The Photography Reader, Routledge, London, 443–452. 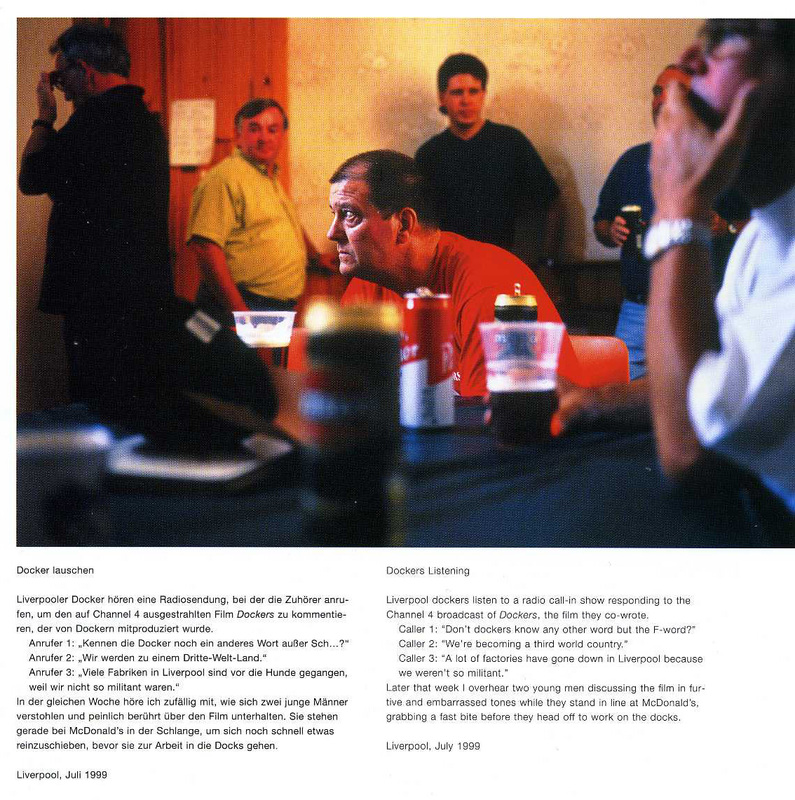 –––––––– (2003b) Allan Sekula: Performance Under Working Conditions, Wien: Generali Foundation & Hatje Cantz. Solomon-Godeau, A (1999) ‘Living with Contradictions: Critical Practices in the Age of Supply-Side Aestheticss’ in Squiers, C. (ed.) Overexposed: Essays on Contemporary Photography, The New Press, New York, pp. 247 – 268. *From interview with Sekula on the occasion of the ‘Contemporary Documentary Exhibition’ at the Victoria & Albert Museum, London, September 2002 to January 2003. In 1909, five years after Lewis Hine had made his first journey to Ellis Island to document mass migration, another American photographer, Milton Rogovin, was born in New York City. The son of Jewish migrants, he would, like Hine, have another career before making photographs, experiencing a significant upheaval in his life when everything would change. Having graduated from Columbia University and subsequently practicing as an optometrist, Rogovin moved to Buffalo, upstate New York in the 1930s. This was at the height of the Great Depression, and coupled with living in an area defined as socially deprived, Rogovin became politically active. 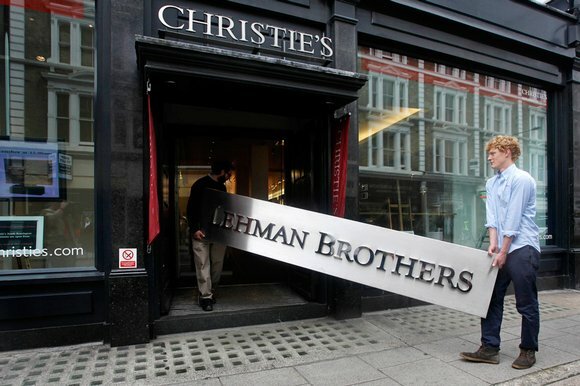 As he comments; ‘this catastrophe had a profound effect on my thinking, on my relationship to other people. No longer could I be indifferent to the problems of people’ (1974: 12). When the McCarthy committee got after me, my practice kind of fell pretty low…my voice was essentially silenced, so I thought that by photographing people…I would be able to speak out about the problems of people, this time through photography*. 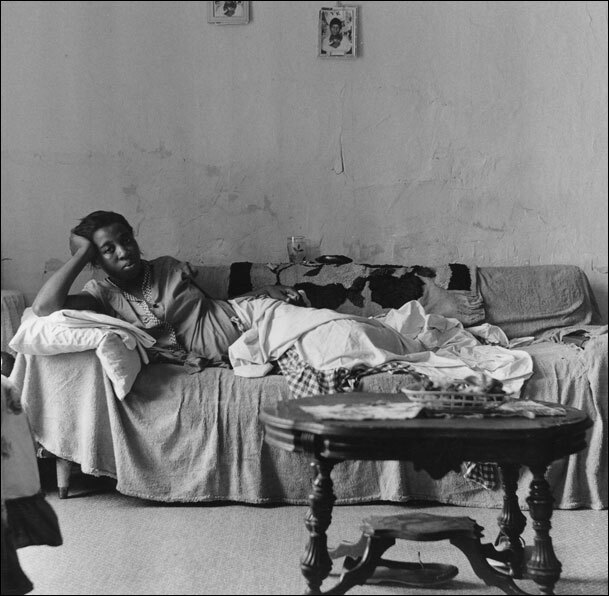 Rogovin’s reasons may appear somewhat dated and naïve even politically incorrect in terms of contemporary discourse surrounding class, but the motivation to photograph those who he described as ‘the forgotten ones’ (ibid. : 12) underlines his profound sense of social and political responsibility to bring critical attention to both their situation and the circumstances. This innovative and critical use of the portrait was extended in 1993, when in collaboration with the anthropologist Michael Frisch, they published the book Portraits in Steel. 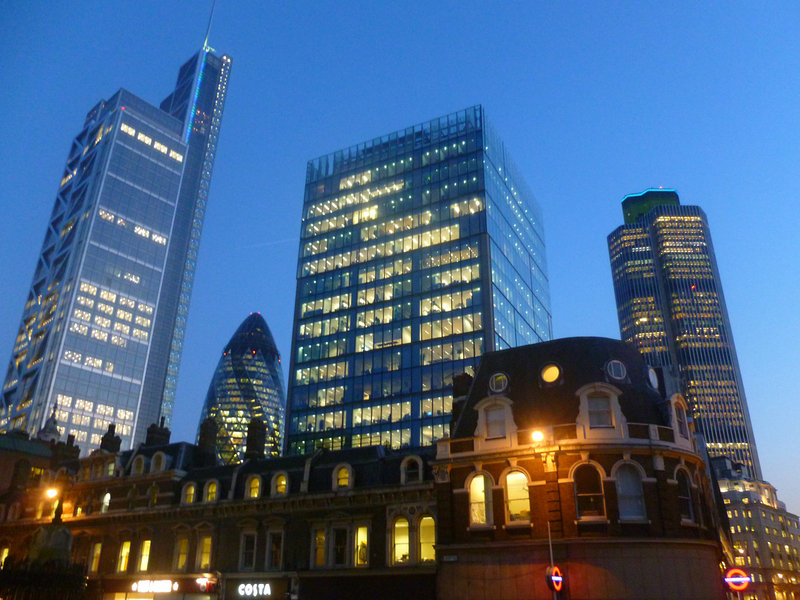 The modern world that Hine had previously documented was becoming the so-termed ‘post-industrial’ landscape of the late twentieth century. 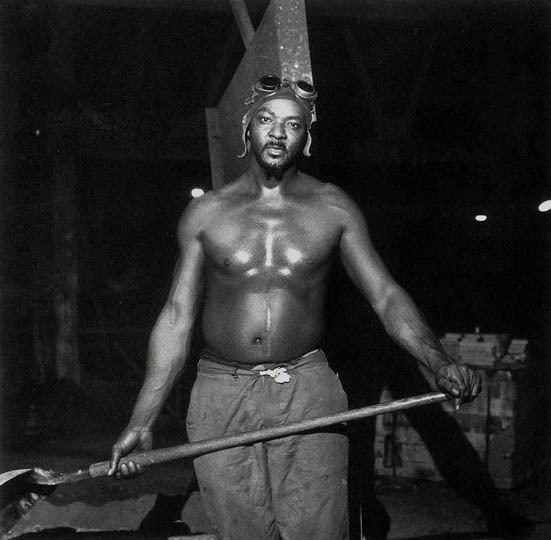 Rogovin had begun in the 1970s to make a series of portraits of workers in the steel foundries in Buffalo. As the American steel industry collapsed amidst the increasingly globalised market of the 1980s and the once ‘Steel Belt’ was transformed into the now termed, ‘Rust Belt’, he returned along with Frisch to document this change. The result was a monograph, where portraits spanning almost 15 years appeared alongside the extended narrative of the testimonies gathered by Frisch. One continues to sense the relationship established with Rogovin in the apparent openness of the individuals taking part. Without such complicity, such a project could not have been undertaken. 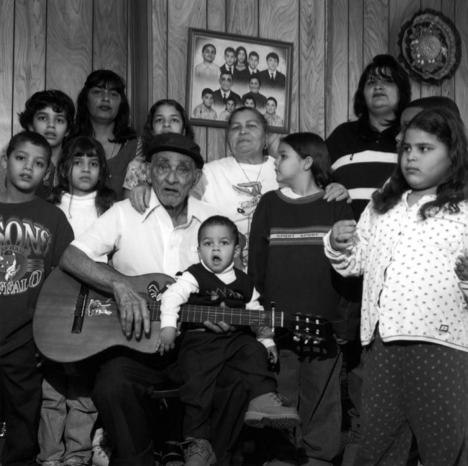 In 2003, a short documentary titled Milton Rogovin The Forgotten Ones by the filmmaker, Harvey Wang, was released. A celebration of the work of Rogovin, the film provides insight into the long-term relationships formed by the photographer and those he sought to portray. In January 2011, Milton Rogovin passed away in Buffalo, New York, one month after celebrating his 101st birthday. 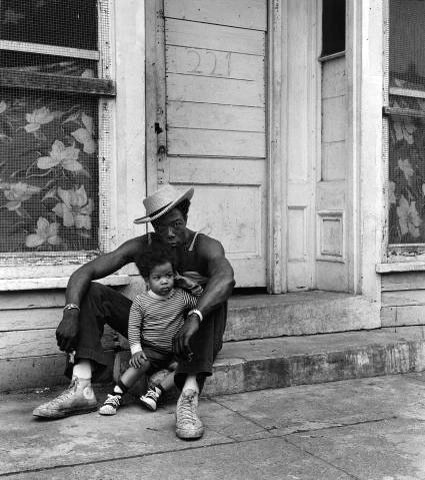 *As described by Milton Rogovin from an interview, ‘Milton Rogovin, Photographing “The Forgotten Ones”’ (2003), National Public Radio (NPR), broadcast 14 June 2003. Available here. **Significantly, Rogovin’s application of the portrait, was described by his collaborator, the Anthropologist, Michael Frisch, as ‘pictures given, rather than taken’ (1993: 3). ***Quote from press release that accompanied the exhibition, ‘Milton Rogovin: Buffalo’ (Danziger Projects Gallery, New York, USA, October 20 – November 24 2007). Available here. 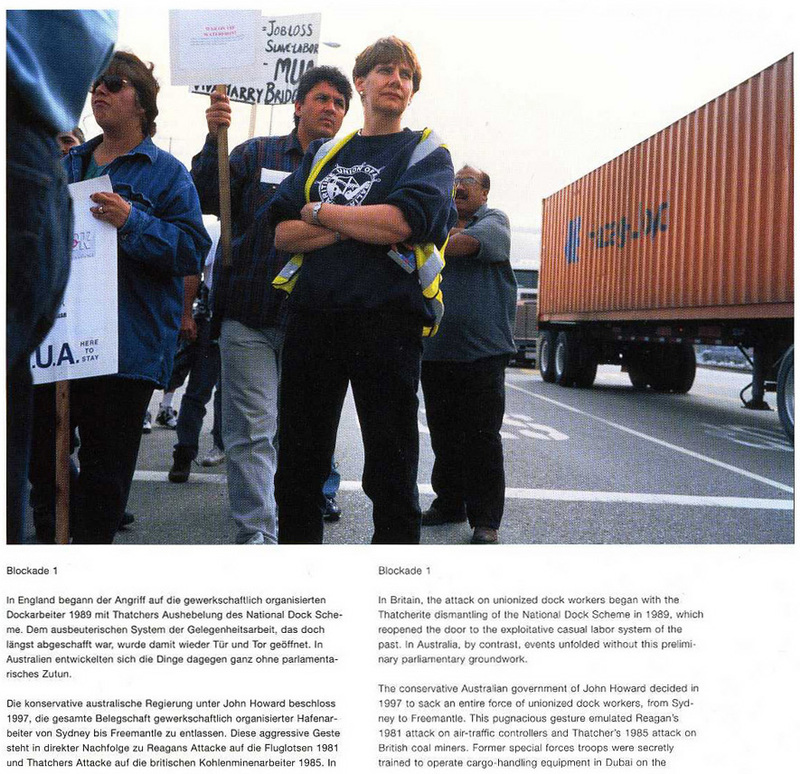 Hirsch, R. (2004) ‘Milton Rogovin: an activist photographer’, Afterimage, September/October, 3–7. Rogovin, M. (1974) ‘Six Blocks Square’, Image, Vol. 17/2, 10–22. Rogovin, M. & Frisch, M. (1993) Portraits in Steel, Ithaca, New York: Cornell University Press. You are currently browsing the Research Background category at THEMARKET.